You’ve reached a cap – you can’t take on anymore clients, and you don’t want to raise your prices. So, how do you make more money? Passive income! A tripwire makes it easy for you to upsell your products and services! Use the ebook template to create your product (or freebie, or both!). Promote your freebie online with the social media templates and Facebook ad templates. Create the tripwire page with my training, and sell more of your digital products online! 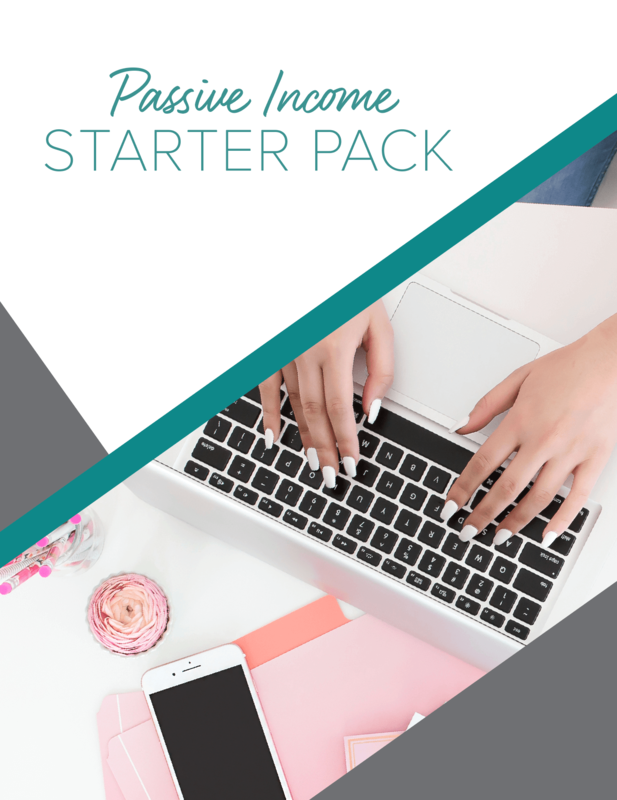 This bundle gives you all the necessary pieces and training to promote and sell your first passive income product easy peasy. SEO is a tricky beast, but I know that you’re ready to tackle it so you can get some more eyes on your website. 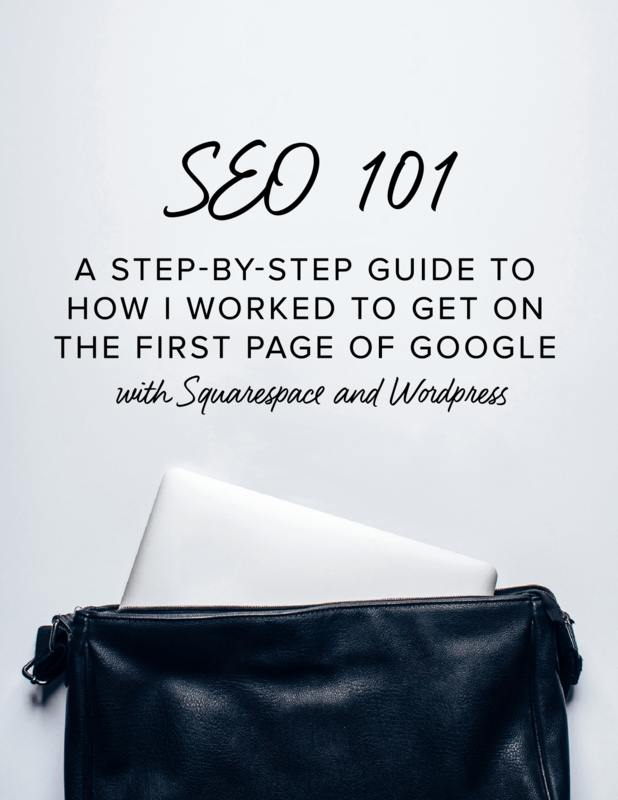 I’m not only going to show you step by step EXACTLY how I got my own website on Google, but some other helpful SEO tactics. I’ve ranked my website on the first page of Google, and it didn’t matter if I was on Squarespace or WordPress! This guide covers: placement of keywords, page SEO, blogging SEO, optimizing images, and back-end SEO. Why should I trust you and buy this? Because I’m on the first page of Google for my local and blogging keywords. I didn’t pay anything or hire an “SEO guru” to do it. I did this myself, by using smart SEO tactics. You don’t want to buy templates – you want to create your own totally unique graphics. 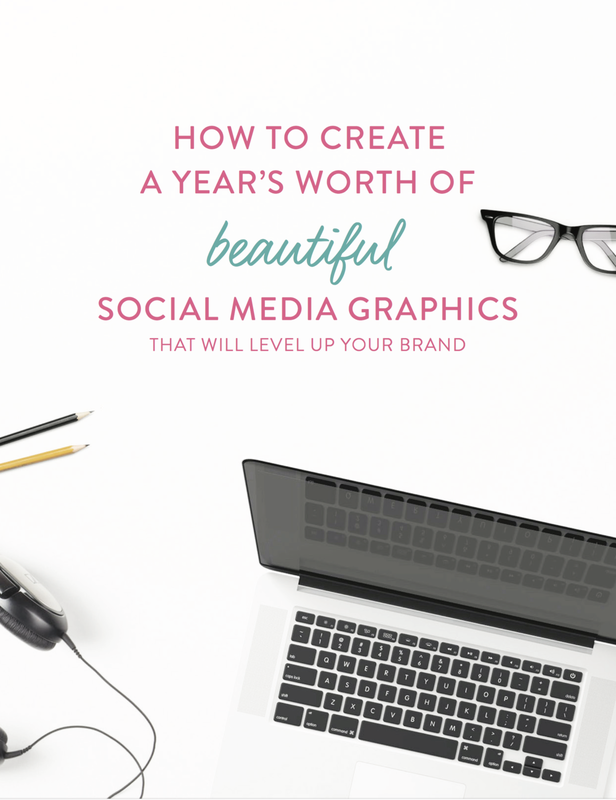 Beautiful, branded social media graphics make you look like the pro that you are. Less time trying to figure out what fonts and colors look right means more time to binge-watch Scandal on Netflix! 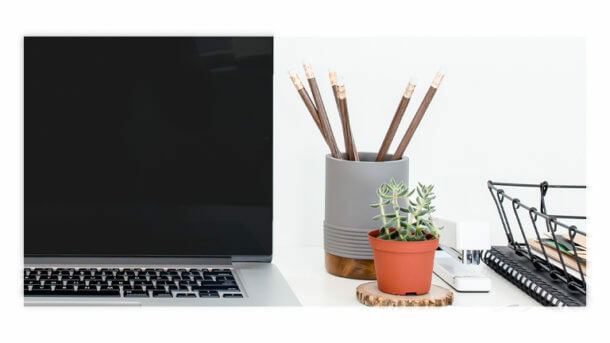 What’s inside: anatomy of a good graphic vs. bad graphic, step-by-step tutorial of creating graphics in Canva, fonts to use and fonts to avoid in Canva, PLUS printable worksheets for planning your social media content, creating a schedule your posts, and brainstorming a year’s worth of posts.